Our tinted translucent plastic cards are created by chemically laminating a plastic colour gel with a layer of translucent polymer. Many of our competitors have chosen to automate the printing process. To do so, the blank plastic card has to be gripped on at least two sides as it passes through their automated printing equipment. This prevents them from printing to the edge of the card. We have chosen a different path. We take pride in the handcrafted nature of our product. As well as standard pigment inks, we can apply stunning metallic inks to the plastic. Our range of metallic colours are vibrant and highly reflective; the ever popular silver being almost chrome-like. We even stock a diffraction ink that spreads the white light hitting its surface into the colours of the spectrum. Each card is created by bonding a sheet of polymer plastic with a coloured translucent plastic gel. 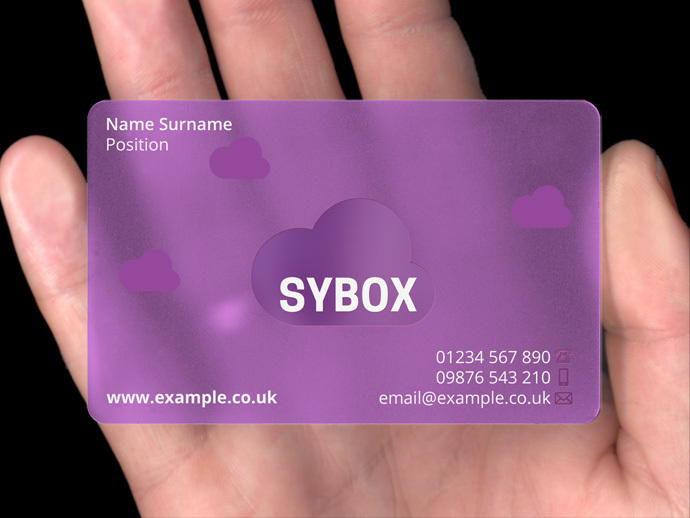 The tinted translucent plastic business cards are available in nine brilliant colours; red, fuchsia, purple, amber, yellow, cyan, evergreen, lime green and smoked grey. Each shade has been carefully selected by our graphics team and matched to a range of complimentary inks. Each ink is applied to the plastic using 200°C of heat and approx 4 tonnes per sq/inch of pressure. This ensures a strong bond between the ink and plastic. Each colour is laid carefully on to the card on separate passes through the printing press. A tinted translucent gel is chemically fused with the printed plastic layer. The result is a beautiful tinted plastic business card, vibrant, playful and original. We provide a completely free design service to all customers who don’t already have artwork. Once we have collected a few pieces of information, our design team puts together an initial concept and first draft. We then create a photo-realistic digital mockup using our innovative proofing system. This shows exactly how the card would look once produced. Using your feedback, we make revisions until you are 100% happy with the layout.